Why did the pie go to the dentist? Q: Why did the pie go to a dentist? A: Because he needed a filling! Now that you’ve had a chuckle, you should know that pie — or, come this Monday, Pi — is serious business. March 14th is a day for the geekier among us to celebrate 3.14, the ratio of a circle's circumference to its diameter and a mathematical constant. But why get bogged down in complicated math when we can, instead, focus on simple fractions and carve up a sweet treat to share? Monday is a perfect opportunity to kick off the week right by treating your staff to a piece of pie. If you decide to bring one in for you and the team to share, this year, we recommend Boston Cream (delicious recipe!). Why? KaVo Kerr Group will be hosting its second annual 3D Dental University (3DU) in Boston. Held October 7-8, 2016 at the Hyatt Regency Cambridge, this premier educational event on cone beam 3D imaging will feature world-class speakers as well as hands-on training for dentists and practice staff. The two-day event will cover clinical topics, as well as technology integration and maximizing return on investment. If you have 60 seconds or less, you can check out a video with insights from last year’s attendees, scan the initial agenda, or act now to register and take advantage of early-bird pricing. Apply promo code GX50 at checkout and save 50% off Dental 3D University tuition. Unlike other conferences, this event has a laser focus on the practical aspects of 3D imaging – providing a comprehensive look at the technology, its implications for the dentist, team and patients, and the chance to engage in a collaborative learning environment where thought leaders, peers, product experts and the uninitiated can share real-world wisdom and questions essential to a successful transition to 3D. For more information, go to dental3du.com. This premier educational event on Cone Beam 3D imaging promises to deliver engaging lectures and valuable networking opportunities. HATFIELD, Pa., July 14, 2015: Registration is open for the first-ever Dental 3D University (3DU), hosted by KaVo Kerr Group imaging brands Gendex™, NOMAD™, SOREDEX™ and Instrumentarium™. 3DU is an exciting 2-day event that promises to provide dental professionals with an educational environment dedicated to Cone Beam 3D (CBCT) solutions that will enhance their practice and put them in full control of treatment outcomes. 3DU will be held October 1-2, 2015, at the Hilton Chicago in Chicago, IL. Up to 12 CE Credits can be earned and an early bird discount of $300 is available for dentists and staff who register on or before August 16, 2015. Featured topics at Dental 3D University include: Successfully incorporating 3D into your practice Implant planning with 3D and surgical guides Reading 3D scans Insurance and billing for a smoother reimbursement process And much more! The educational program will be anchored by world-class presenters, Dr. Lou Graham, discussing his "Journey to 3D: Working Through Data to Make the Right Decision"; and Dr. John Flucke, one of the strongest voices in dental technology over the last decade, sharing his expertise on the value of 3D in endodontic procedures. In addition to the educational sessions, networking opportunities will offer attendees time to interact with colleagues and industry speakers. "The advancements in 3D imaging over the last several years have generated not only excitement among specialists and tech-savvy dentists, but a genuine interest from a much wider audience in understanding how these developments can make a difference in day-to-day practice and patients' overall quality of care," says Pankaj Jaggi, Director of Marketing, KaVo Kerr Group, Imaging. "We are excited to showcase an exceptional lineup of engaging lectures, outstanding speakers, professional networking opportunities and more. 3DU will offer attendees time to interact with peers and industry thought leaders, explore the technology exhibit, and learn about the latest digital solutions.This will be an event you won't want to miss!" A KaVo Kerr Group Imaging Owners' Meeting, to be held during the event on October 1, offers an opportunity for existing Gendex, SOREDEX 3D and Instrumentarium owners to take part in advanced training and peer-to-peer networking. Reserve your spot now at dental3DU.com. About KaVo Kerr Group KaVo Kerr Group is a global portfolio of leading dental brands that share common values of Trust, Experience, Choices, Quality and Smart Innovation. Brands include KaVo™, Kerr™, i-CAT™, Gendex™, NOMAD™, DEXIS™, Instrumentarium™, SOREDEX™, Orascoptic™, Pelton & Crane™, Marus™, Pentron™, Ormco™ and Implant Direct™. With over 500 years of combined experience and proven solutions, KaVo Kerr Group uniquely serves 99% of all dental practices. Visit www.kavokerrgroup.com for more information. Gendex celebrates the Dentaltown “Best Panoramic X-ray” GXDP-300 and GXDP-700 at Chicago MidWinter meeting, and introduces the new Invivo 5.3 to its 3D product line. Hatfield, PA (February 19, 2014) - Gendex, a leader in dental imaging, will showcase its full line of digital imaging solutions at the Chicago Dental Society Midwinter Meeting from February 20 to February 22, 2014. At the show, Gendex will celebrate the recent Dentaltown “Best Panoramic X-ray” Townie Choice Award received for its GXDP-300 digital panoramic and GXDP-700 panoramic, cephalometric, and Cone Beam 3D systems. The positive response from dental practitioners and industry experts confirms Gendex’s place as a leader in extraoral imaging innovation. Gendex will also introduce Invivo 5.3, a new edition of the award-winning 3D imaging software. Current Gendex 3D owners and visitors wanting to learn more about 3D will be able to demo Invivo 5.3. With the integration of new clinical tools to enhance the implant treatment planning process, this latest version elevates the potential of Gendex Cone Beam imaging solutions and ultimately increases the predictability of clinical outcomes. Furthermore, the new software allows users to combine Cone Beam 3D data with digital impressions taken with an intraoral camera or CAD/CAM system. The pairing of patient anatomy datasets allows practitioners to identify a treatment plan that meets both functional and aesthetic requirements. The GXDP-300, GXDP-700, Invivo 5.3 along with the entire family of Gendex products including digital intraoral sensors and x-ray solutions, will be showcased at the Chicago Midwinter show in Booth #1000. In April 2013, all of my dreams came true — I opened Mahoney Family Dentistry and gave birth to my son, Keegan, just weeks apart. Caring for a newborn baby and nurturing a new practice both take patience, attention to detail, and a great support group. The caring and knowledgeable representatives from Gendex and Burkhart offered their expertise on every aspect of the practice, especially on my imaging needs. As a result, the GXDP-700™ series digital pan and 3D combination unit and GXS-700 digital sensors have become two of the most important assets for my new practice. During my career, I have worked in many aspects of dentistry — starting as a dental assistant in my father’s pediatric practice in 1990, then studying to become a hygienist, continuing on to dental school at Boston University School of Dental Medicine, and finally completing a GPR residency at the University of Nevada School Of Medicine in Las Vegas. 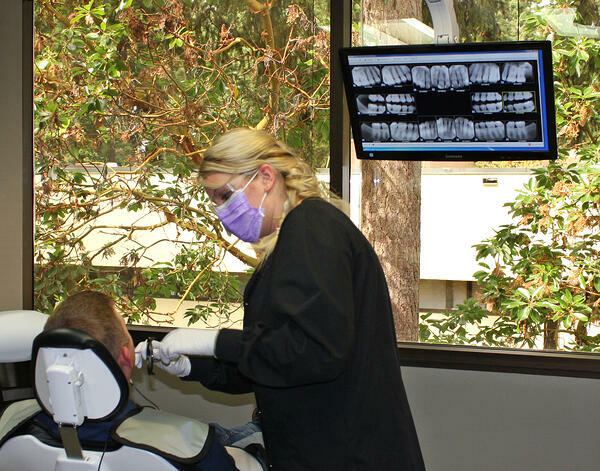 In 2008, I moved to Edmonds, Washington and worked in different dental practices with various levels of technology. By the time I started my own practice, I had worked in the dental field for 20 years and had experience with a variety of software and x-ray equipment. So, I was very selective and knew exactly what I did and did not want. Burkhart representatives Jim Connor and Tami Lennox accompanied me at the Pacific Northwest Dental Convention to see my options. For imaging products, we visited multiple companies’ booths and kept returning to Gendex. 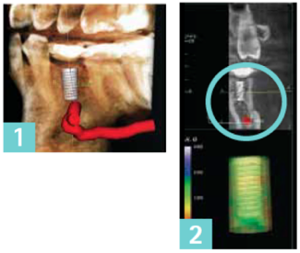 For implant procedures, I wanted a user-friendly in-office CBCT that produced great images. After stopping by the Gendex booth, and seeing the excellent image quality and price of the GXDP-700, the decision was simple. As part of my imaging package, I also got both sizes of GXS-700 digital sensors. From the time of the training, I knew that I had made the right choice. I am so pleased with the clarity of the images, and how simply I can move between 2D and 3D modes. During training, I had a cone beam and bitewings done on me because I was due for a checkup. The bitewing was so crystal clear that I found a cavity that I had suspected but that was missed with a different brand of digital imaging a year before. 3D imaging is important to different procedures in my practice. When planning implant cases, I need the most accurate and detailed information available. And 3D can help me to pinpoint precise nerve location for third molar wisdom tooth extraction cases. I can control the resolution for lower radiation exposure and still get very fine detail even at the low resolution setting. 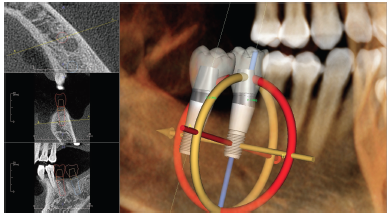 My goal is to start using guides on every case, and CBCT is an important part of that process. This will remove even more guesswork and allow me to keep more advanced cases in-house. Another interesting feature helped out with a patient who had an extremely bad gag reflex. With the extraoral bitewing feature, we were able to get great quality images. The patient was so impressed and said that he didn’t even know a dentist could cater to his special needs. The GXS-700 sensors have also proven to be very valuable. Almost all of our new patients get a full mouth series. During our training, my team quickly learned how to properly position the sensor to get the appropriate views. The sensors are comfortable, and we use the smaller size for children, or adults with a bad gag reflex. Patients appreciate that they get less radiation exposure with digital x-rays, and since I was an assistant cleaning the processor at the beginning of my career, I appreciate not having to waste space with a darkroom or use harsh developing chemicals. 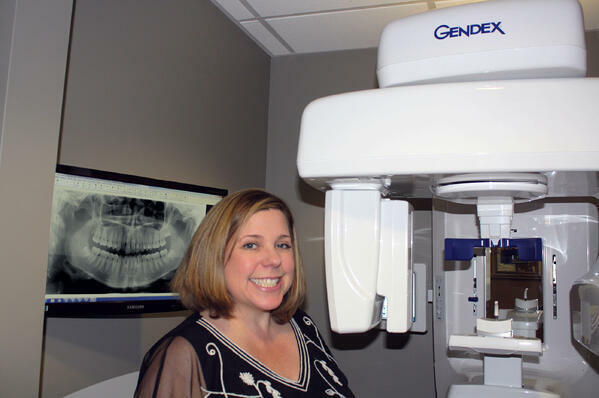 The Gendex trainer Mary Johnson came from Portland, Oregon to get us up to speed with the VixWin Platinum and Anatomage software. I was relieved that both are easy to navigate. I love and want technology, but am not super tech savvy, so the fact that it is so user-friendly is very important. The touchscreen on the GXDP-700 makes it so simple, my assistants caught on very quickly. Also, if we need to share information, scans can easily and securely be sent electronically to referring dentists. Setting up this office has been an interesting, and often hectic experience. In the span of a few weeks, my husband, Glenn (who is in emergency medicine and helps monitor my in-office IV sedation), and I got a loan, designed our space, signed a 10-year lease, and discovered that we were going to have a baby. Troy Schmidt from Gendex, Jim Connor and Tami Lennox from Burkhart helped to reduce this potentially stressful situation. Jim and Tami went above and beyond to help me set up my practice with the hallmark integrity that Burkhart has always shown. Troy kept in touch and answered all of my questions, ensuring that I was happy with my decisions. Mary, the Gendex trainer, was patient and kind. They became my support group and gave me tips on everything from equipment to parenting. I returned to my new practice after three weeks of maternity leave, and my dreams continue to come true as I watch my baby and my practice grow. 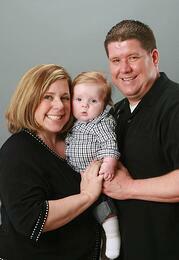 Dr. Mahoney began her dental career in Arizona in 1990 as a pediatric dental assistant, working for her father. After 8 years of general and pediatric dental assisting, she went to college to become a dental hygienist and graduated from Baylor College of Dentistry in Dallas, Texas, in 1998. After graduation, a job opportunity took her to Luzern, Switzerland, where she practiced dental hygiene for 3 years. After moving back to the states for dental school, she graduated, with honors, from Boston University School of Dental Medicine. She went on to complete a competitive residency at The University of Nevada School of Medicine. During her residency, she received intensive training in general dentistry, hospital dentistry, implant dentistry and sedation. Upon completion of residency, she and her husband, who works in emergency medicine, moved to Washington to be close to family. Washington is her final home, but through her many moves and travels she has gained life experiences. She feels that these experiences make her able to communicate and work with patients of all ages and backgrounds. Besides her work in private practice, Dr. Mahoney is also affiliate faculty at the University of Washington School of Dentistry. She says that she loves being a dentist because it allows her to help improve a person’s health and smile. She finds it rewarding to get to know her patients and really understand their individual expectations and desires in regards to their oral health. 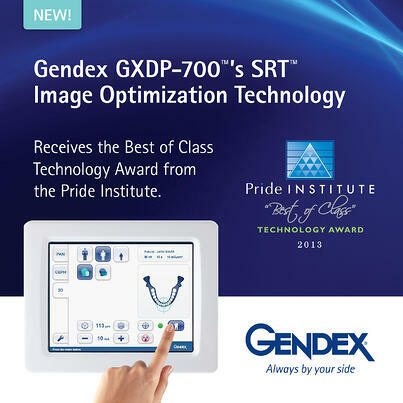 Hatfield, PA (August 29, 2013) Gendex, developers of the GXDP-700™ cone beam 3D system, has been honored to receive the Pride Institute’s Best of Class Technology Award for 2013 for its SRT™ Scatter Reduction Technology. Unique in its approach and scope, the Pride Institute’s “Best of Class” Technology Award — now in its fifth year — recognizes products that demonstrate excellence in their category. SRT image optimization technology delivers 3D scans with higher clarity and detail around scatter-generating material. 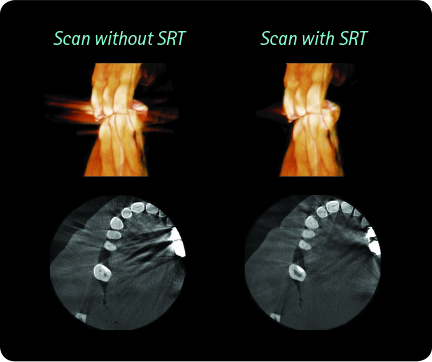 By using SRT Technology, clinicians are able to reduce artifacts caused by metal or radio-opaque objects such as restorations, endodontic filling materials, and implant posts. When a scan is prescribed near a known area of scatter generating material, the user only needs to select the SRT button from the GXDP-700 touchscreen interface to utilize this new optimization technology. From endodontic to restorative and the post-surgical assessment of implant sites, SRT offers a significant improvement to image quality. The panel is committed to an unbiased and rigorous selection method. Throughout the course of the year, members of the panel review new and existing technologies in preparation for the vote. Panelists who receive compensation from dental companies are prevented from voting in that company’s category. This provides the dental professional with a product perspective untainted by manufacturer intervention. Gendex’s design philosophy focuses on delivering award-winning innovations with clinicians and patients in mind, and the addition of the SRT to the GXDP-700 platform aligns with that goal. The company’s strong history in continuing innovation, along with a deep dedication to deliver products that exceed the needs of dental professionals, have earned Gendex recognition as a global leader. Learn more about the full line of Gendex products at www.gendex.com. With the advent of any new technology, it’s important for dental professionals to consider not only cost and risks, but also the benefits of switching. In the case of 3D dental imaging, the advantages are clear, granting practitioners and patients alike a better clinical experience. 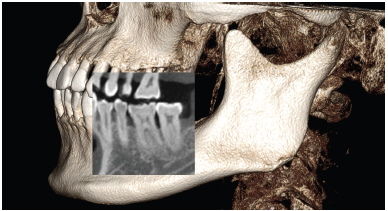 A dental 3D scan allows clinicians to view dental anatomy from different angles. A 3D scan can help gain a better view of bone structures, such as adjacent root positions, in order to locate canals and root fractures, as well as provide the ability to more accurately measure anatomical structures. These scans also support a wide range of diagnosis and treatment planning, making them extremely flexible. Further, they increase the possibility of treatment success, granting practitioners greater predictability and confidence in preparing for extractions, performing root evaluations, and placing implants. 3D dental imaging also delivers the power of repeatability, providing fast and accurate imaging that’s consistent—and thus, reliable. Using a 3D dental scanner equips dental professionals with a comprehensive view, letting them see specific conditions in the region of interest to determine whether a treatment is necessary. Because details show up so clearly, patients can be more confident in a dentist’s decision. In addition, the use of dental imaging technology often creates a more comfortable and engaging dental visit for the patient. The Gendex GXDP-700 Series features the pinnacle of 3D dental imaging technology, allowing dentists to plan for more predictable treatment outcomes by taking advantage of powerful 3D software analysis and simulation tools. Plus, dental practitioners can control the exposure and the size of scanned areas using the system’s flexible field-of-view (FOV) to meet individual patient and clinical needs. As a practice grows to offer additional imaging capabilities, the GXDP-700 imaging solution can be upgraded within your own timeline and budget. 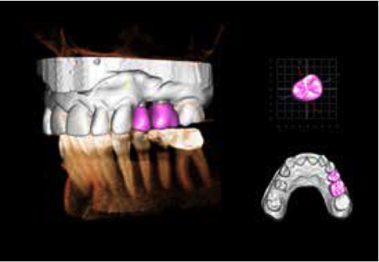 NEW ANATOMAGE INVIVO 5.2 3D IMAGING DENTAL SOFTWARE IS HERE! A new, powerful version of 3D imaging software is shipping with our award-winning Cone Beam 3D systems: Anatomage Invivo 5.2. This software seamlessly integrates with the Gendex VixWin Platinum 3.x imaging application, bringing 3D imaging just a single click away and making all 2D images from digital sensors, panoramic, digital cameras and 3D scans conveniently available in one single patient imaging management system. Here is a list of new key features and improvements available with the all-new version of the Invivo software. Significantly sharper and clearer images for better diagnosis. Better bone boundary for improved implant planning. Ability to check for surgical interference before sending the case reduces treatment time. Wrap image data with the Invivo Viewer and burn to a CD to easily share scans. Export 3D/2D images with a work-up as a single-file in DICOM format. New flexible custom section tools. For more information about Anatomage software, please visit anatomage.com. The Gendex GXDP-300™ and GXDP-700™ systems are the pinnacle of Gendex's innovation in dental panoramic x-ray. Their intelligent touchscreen interfaces, sleek design features, and advanced diagnostic options are only a few examples of the company's commitment to innovation. These achievements were the culmination of decades of dedication to dental imaging. So let's step back in time for a journey along Gendex innovations in dental panoramic x-ray technology. During the 1970s, the GE-3000 was introduced as the company's first line of panoramic x-ray machines. The film support was cylindrical in shape to allow the film to rotate as it was being exposed to x-rays. A few years later, the breakthrough Panelipse™ was launched. This was a benchmark panorex and the first system to produce panoramic images with a constant magnification factor to achieve a proportionate representation of anatomical structures within the image. During the 1980s, Gendex's continuous desire to innovate and elevate the quality of dental care led its research and development team to the design and launch of the Gendex GX-Pan, which later became truly iconic dental panoramic x-ray equipment. The next generation of dental pans was even more exciting. The Orthoralix series, with its 9200 and 9000 versions, were among the first to adopt software-driven motion. Their direct digital series, the Orthoralix 9200 DDE and 8500 DDE, led the Gendex digital revolution in dental panoramic technology and real-time imaging processing capabilities. So what makes today's digital panoramic x-ray machines so special? In August 2011, Gendex introduced a completely new extraoral platform featuring the GXDP-300 Pan and GXDP-700 Pan/Ceph/3D systems. These units reflect the Gendex tradition and our commitment to the clinician's experience, patient comfort, and innovation. The easy-to-use and intuitive touchscreen interfaces make operating these panoramic units as easy as 1-2-3. Gendex EasyPosition™ patient positioning system allows for a comfortable and proper patient position, resulting in crisp panoramic imaging results. If you are wondering why you should invest in a digital panoramic x-ray machine or upgrade your existing panoramic equipment, read Dr. Velazquez's ADA Peer2Peer study case on implant planning made possible with the aid of 3D x-ray scans, or listen to Dr. Annie Sohn talking about adopting digital panoramic x-ray technology in her practice.